EyeEm iPhone photo sharing service is up to their old tricks… adding more features and helping it’s users find others to view and share with. Kidding aside, the updates to the latest version of EyeEm isn’t about enhancing the actual photos. Instead, the service is looking for more ways people can relate through their photos. The service is one I enjoy visiting to see photos from around the world. Posts are all across the scale with street photography from a small village somewhere few of us have heard of, through to high school lunch snaps. The latest updates will help me find just what I’m interested in viewing, no matter my mood swings between visits. After you snap a photo with the EyeEm app or import one from your iPhone’s photo library, enhance with the editing tools. Next, you can add your location with the name of the company location your at or city your in. 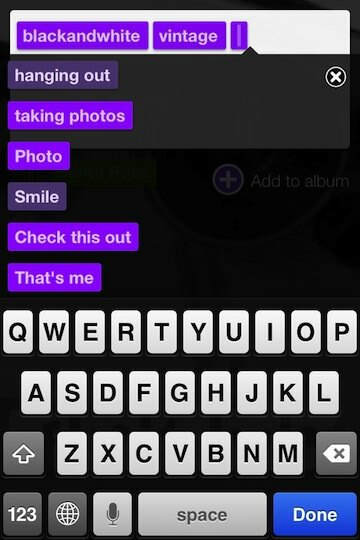 New in this update is a step to add a caption to the photo and tagging friends to the photo. The original EyeEm had you set your location then add a tag. I noticed that some folks seem to have more than one tag. The trick to add more than one tag had been to post the photo, then ‘edit’ it, adding more tags. Now, by default, EyeEm lets you add up to four tags along with your caption. 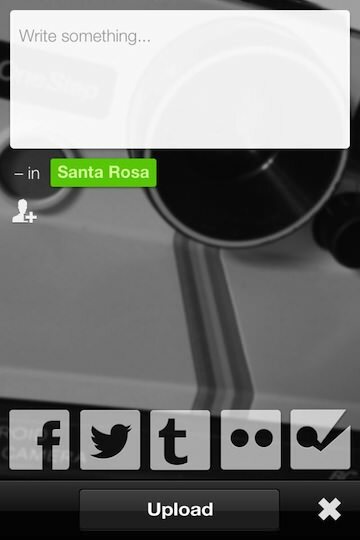 Just tap the ‘add’ and start typing, a list of tags others have used will appear to choose. Or, add your own so others can start posting to that tag too.